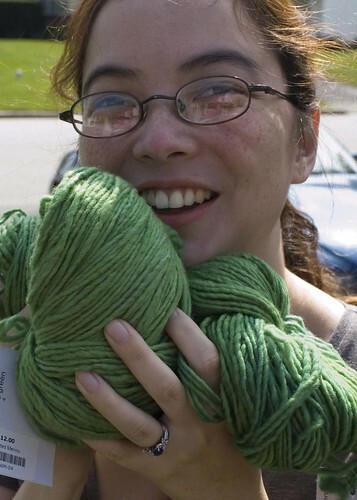 When Jenn and I were hanging with Jared Flood, I told him (and everyone else there) that I knit in the winter, not in the summer. And it's not a lie! I even knit and finished something just last week! But I had to finish it in a hurry, so no pic. Sorry. 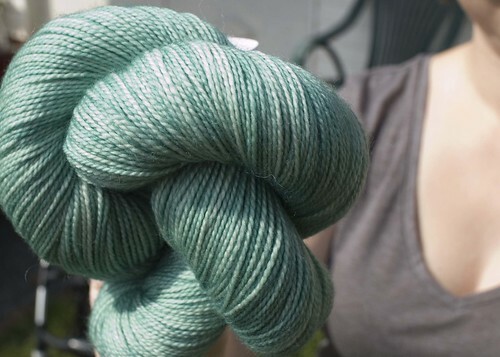 But, if you looked at the state of my ravelry stash, you would be forgiven for calling me a liar. 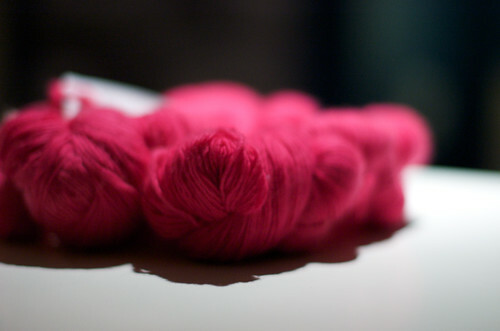 But knitting or not, I do photograph all year round. 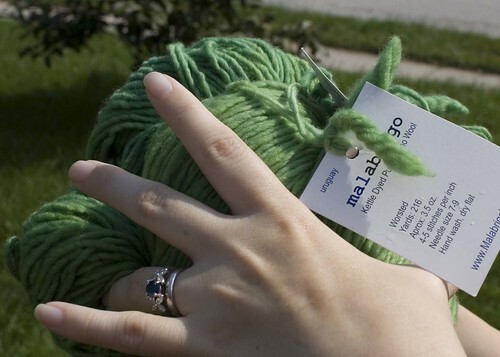 So, in my blogtator's honor, I photographed all the hanks of yarn waiting to be knit, and stashed them (ravelry). And saved an extra delightful pic for y'all to open my post. If you were bored and looking at dead stashes recently, you might also get the impression that I last knit when nubbins ruled the earth. I discovered in this cleanup that you must declare items in your stash all used up! They won't go away on their own by your careful calculations of yarn used to equal 100%! 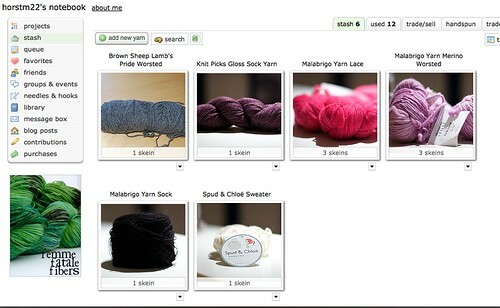 So, now my stash page looks a whole lot more like my yarn basket.